Starbucks (NASDAQ:SBUX), has always been considered a haven for the upper-middle class. The conversational trendy atmosphere has separated itself from other competitors in terms of what it has to offer. Recently Starbucks has turned to alternative ventures almost steering away from its traditional business model while maintaining its originality. What are the goals and outlook for Starbucks at this point? Right now the company is looking to expand into China which should serve as the company's most profitable international market. Starbucks is trying to draw customers to buy complementary products. Starbucks has expanded into the tea business, they are also starting to sell alcohol. Starbucks has close to 13,000 US stores. It has been expected that sales will slow domestically, however, its 20,000 international stores should make up the difference. Starbucks plans to open around 750 new stores in China within 2014. The company also expects to open additional locations in India. The expansion into these two countries alone could provide a large positive influence on the earnings for Starbucks. Starbucks has seen 30% year over year revenue increases in China. While China is typically known for its tea drinking, it was apparently able to make the transition. Perhaps looking to open Teavana in China will be Starbuck’s next venture. Starbucks continues to use focus on its core coffee and food products while also trying to cater to the Chinese culture. Retail coffee sales have increased 10%, which is 7% above the global average. A major question is whether coffee will ever replace tea in China. This was previously an issue with MCD. Remove burgers and fries replace the traditional agricultural rice dominated diet of the eastern culture. Given MCD’s apparent success in the region, I don’t believe Starbucks will have any trouble fitting in either. The global tea market has reached close to 90 billion over the last year and Starbucks is looking to take advantage with the acquisition of Teavana. Starbucks hopes to start over 1000 Tevena stores within the next 10 years in North America. Starbucks are starting to use mobile payments as a alternative for consumers to purchase products before entering the store. Customers will be able to tip using the mobile app. Currently 1 in 10 purchases at Starbucks are made with a mobile device. Starbucks is trying to get people to sign up for its mobile app which should increase visitors to the store. This is an essential part of Starbucks future given the demographics. It is surprising this wasn’t an option sooner. Starbucks has recently introduced new alcoholic beverages to its menu, in hopes of drawing more customers during evening hours. 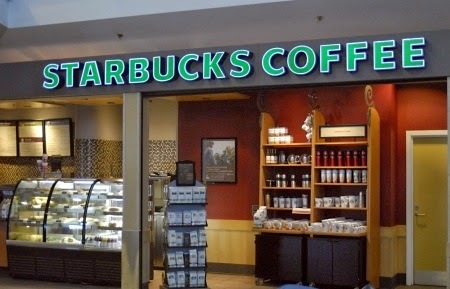 According to CEO Howard Schultz the average Starbucks customer spends about 5 dollars per visit. He believes, with the introduction of alcoholic beverages, this number can double. There are questions as to whether the alcoholic beverages will alienate the current customer base. How many customers will actually choose Starbucks for a drink after work? Starbucks Peg of around 1.45 certainly looks cheaper than its competitors such as MCD at 2.16 or Yum, (NYSE:YUM) at around 1.70. It may be safe to assume that Starbucks international ventures along with its innovative mobile ideas and product expansion will allow its growth to remain at high enough rate. However, its low dividend payout may be a reason to keep it out of your long term portfolio. YUM brands has seen recent success in earnings abroad especially in China which makes up about 40% of its market share. However, it has seen struggles with returns from the same store sales which have gone down around 4%, which is still an improvement from what was seen a few months ago. China represents around one-third of YUM’s total operating income. At this time, it looks as though Starbucks is going to continue its aggressive growth strategy in hopes of gaining additional market share internationally. Increased Coffee prices according to Forbes.com shouldn’t have an impact on Starbucks at this point because they have already bought most of their inventory and locked in the low prices. However, Green Mountain Coffee (NASDAQ:GMCR) may have some difficulties in the upcoming months. Green Mountain’s commodities cost totaled about 62% of their revenues. A spike in prices could be significantly affecting margins moving forward. Green Mountain has purchased approximately 3 month worth of coffee supply which may not carry out the coffee spike. As the numbers indicate, Starbucks manages to keep its debt to equity low while also keeping a reasonable number of liquid assets on hand. Even though both numbers fall short of industry averages. The company’s current ratio of 1.27 is almost even with the industry average of 1.29 and the total debt to equity ratio is 41.90 compared to an industry standard of 62.52. Most of this debt seems to be short term, which may or may not be beneficial, given the current interest rate environment. The company looks to have a strong support at $70 dollars. With analyst projections closer to $90-$92, it may be wise to wait for a pullback and allowing market risk to take its course considering SBUX beta of 1.16. However, once the stock does push past $80 staying long is the best option.